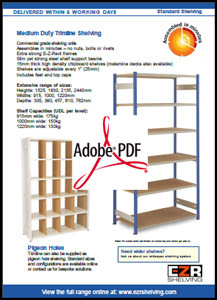 Melamine shelves provide a more attractive shelf finish that can be simply wiped clean, this makes it the perfect choice for retail storage, especially when storing folded garments. 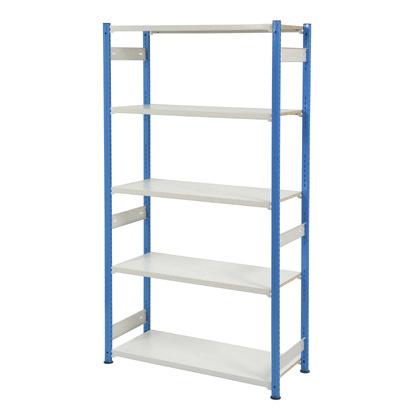 This shelving unit is made from commercial grade Trimline shelving components and includes 5 storage levels - providing a stable platform to house your goods. Slim but strong steel shelf beams support the MFC boards to minimise wasted space and each one can be adjusted in height every 25mm. 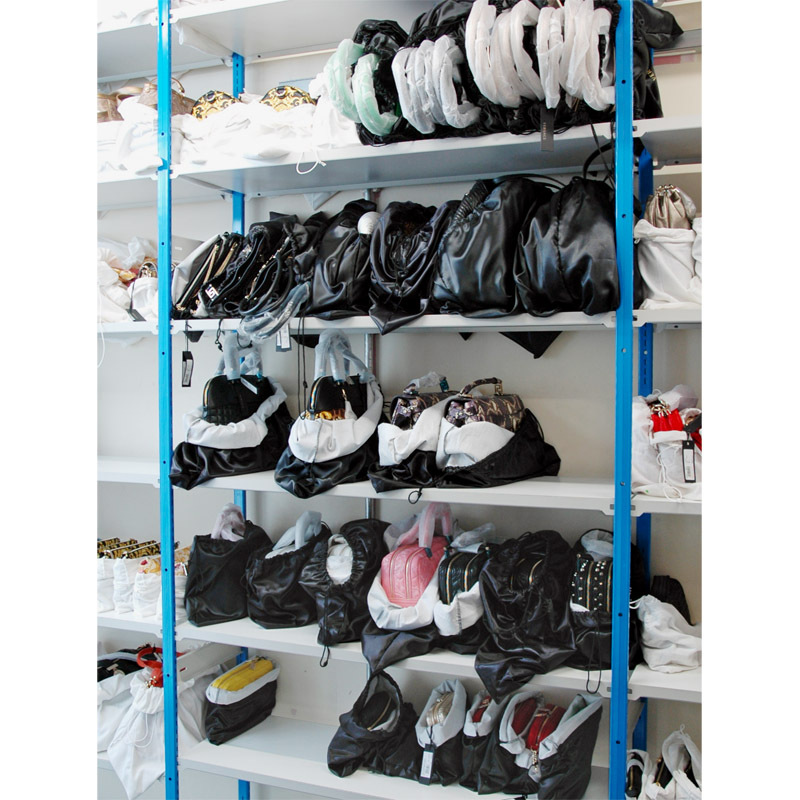 Trimline is the number one choice for retail storage and is used by many of the UK's leading retail brands to maximise the stockrooms of their high street stores and outlets. 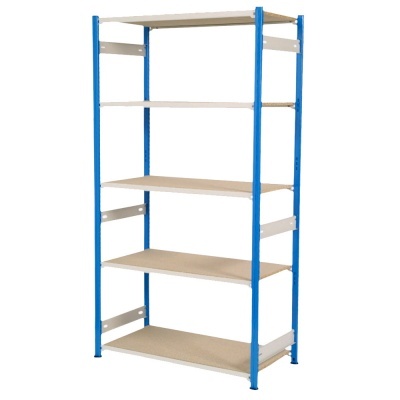 Due the great strength and unique end frame construction of this shelving system, you can be assured of a long-lasting product that will continue to support your growing business for many years - in fact many customers convert to Trimline after being disappointed with 'cheaper' racking units that have either failed or become unstable. Order as a single starter bay for one standalone unit or buy cost-effective add-ons as connected extensions. There are an amazing number of size options available to buy online but if you need a different configuration or something bespoke please contact our sales team on 01993 779494 to discuss your requirements. Important Safety Note: We advise that if the height to depth ratio exceeds 5:1 the shelving unit(s) should be floor or wall fixed. On this particular product this only affects bays with a shelf depth of 305mm.